Okay, so the picture isn't flattering, and neither are the cookies, but I get 10 points for trying right? 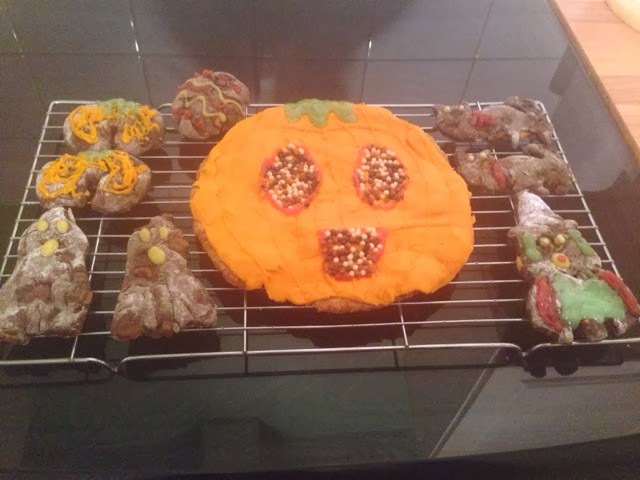 Anyway, I made some chocolate chip cookies and made them all halloweenified and then made a giant shortbread pumpkin! I admit they don't look great, but they taste it! Nomnomnom! !